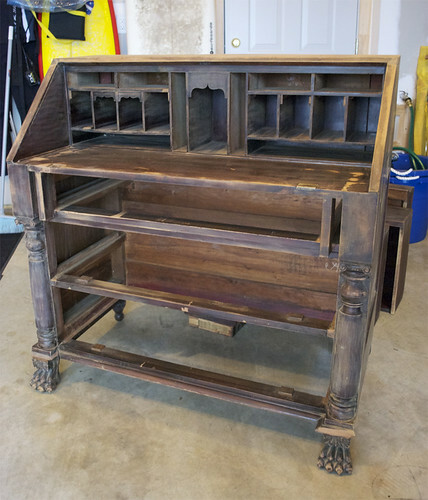 I'm not sure if I had mentioned this, but during Snowmageddon I had discovered a great find on Craigslist. 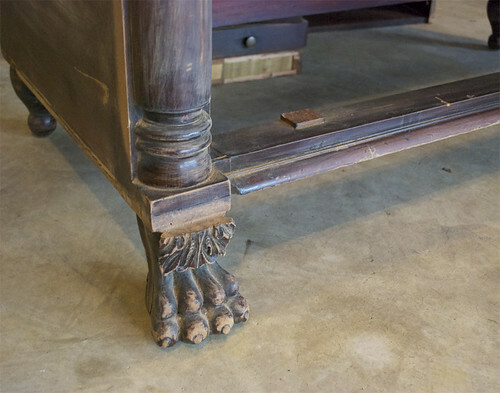 It was a vintage mahogany secretary that had the perfect proportions with great lion's feet to boot. I was gung-ho about it the minute we got it home and I started sanding that night thinking I could finish the whole project in a few days. Ha! Yea, that obviously didn't happen because I'm just telling you about it now. Well, after months of pushing it off and being quite unmotivated, we finally got fed up with having the secretary in the garage (it was taking up precious space from my husband's car) and decided to finish it. It took us about 2 weekends to finish it completely, but I am proud to say that we finally did it and it is currently in our living room right underneath our Housing Works find from our last NYC trip. 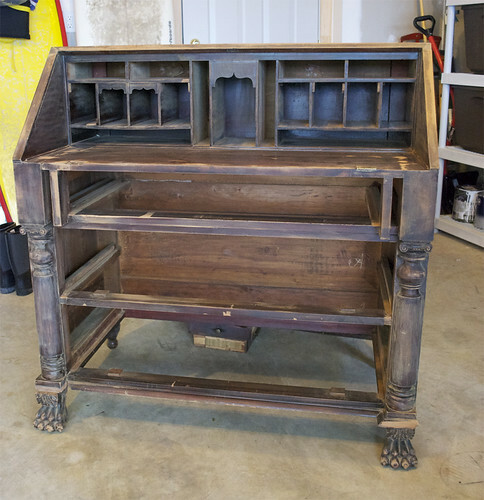 The feet on this secretary is what sold me. 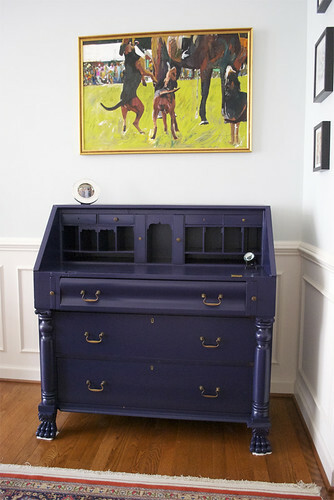 *The paint we chose was BEHR Premium Plus Ultra Paint And Primer in Black Sapphire. 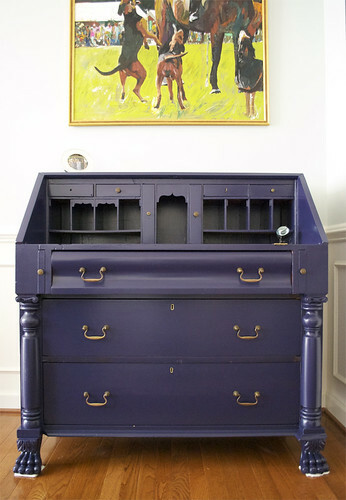 The color of the desk is fabulous - also happens to be the color of my brand new hand bag. I agree that the desk is fantastic but would like to note that making space in the garage for your husband's car may not have been the wisest decision - this particular brand of vehicle has been known to blow up unexpectedly and burn down your house. Your husband's taste in cars is not your fault though and I'm glad to see that you have taste galore.